A tile-stacking game for 2 players (with a variant for 3 or 4) by Néstor Romeral Andrés . Pent-Up is a tile-stacking game that uses pentomino-shaped tiles. 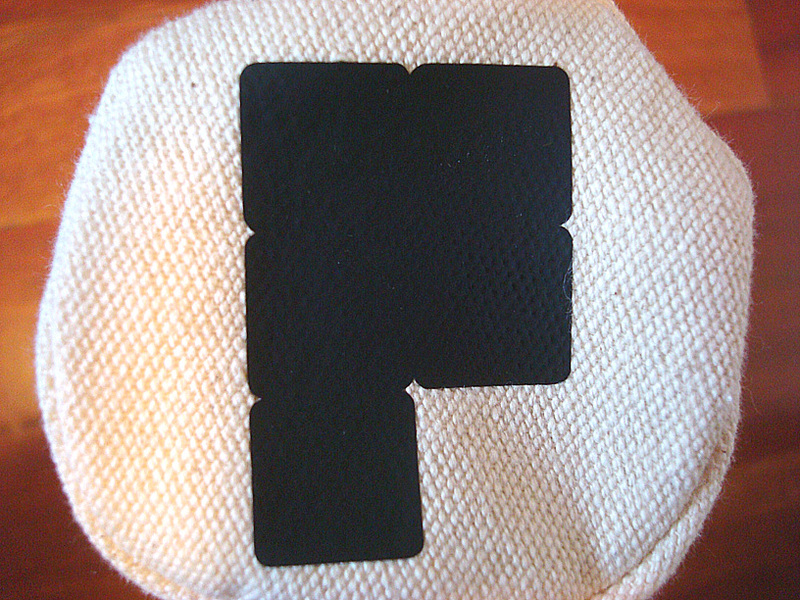 A pentomino is a piece composed of five congruent squares, connected along their edges. 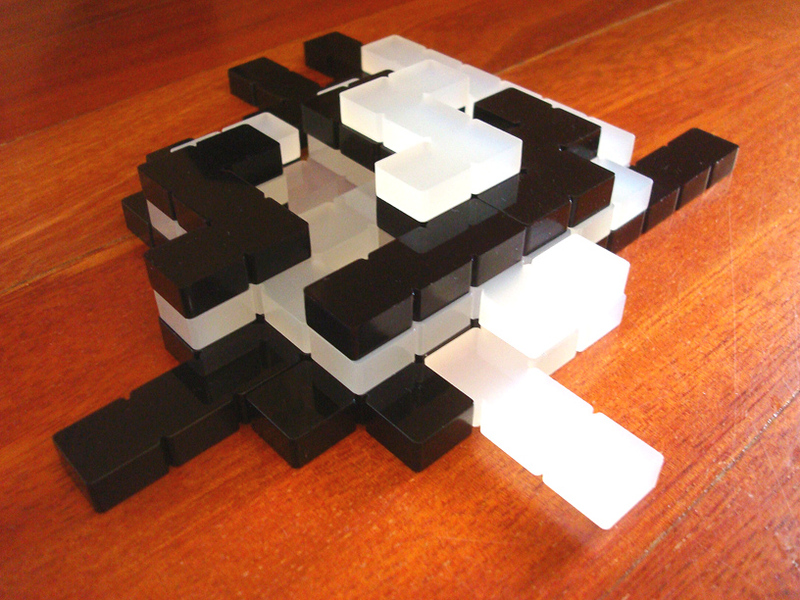 Each player has 12 different pentominoes of the same colour made of laser-cut 8mm thick acrylic (black or ice). The game also includes a cotton case for storage. Players alternate turns placing one of their tiles according to some simple rules, trying to get the most of their pieces on the topmost layers when the game ends. The rulebook also includes a variant and some puzzles. 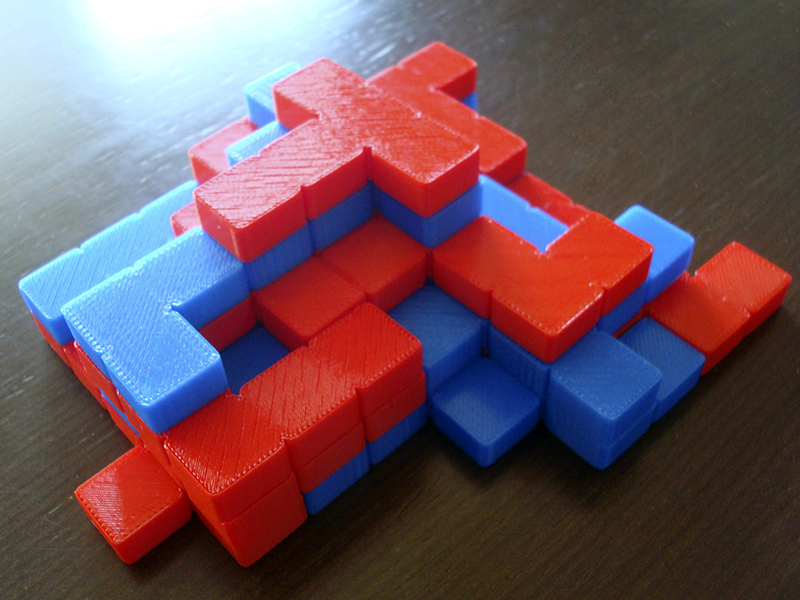 You can now purchase the ice+black set (laser-cut acrylic) or the red+blue set (plastic - 3D printed). You can use both to play a 3-4 player game. Please notice that 3D-printing pieces at an affordable price makes them far from perfect, but I do my best. Pent-Up is the brother game of SEVEN, Counterplays and Stack-22.